Theology for Ministry is for beginning ministry students, seasoned lay leaders, and anyone in between who wants to learn more about the faith that feeds their call to serve. Six easy-to-read chapters introduce the main areas of theology that every lay minister ought to know: the notion of vocation, the doctrine of God, Jesus Christ, the Holy Spirit, church, and ministry. By sharing personal stories and simple examples, Edward Hahnenberg brings the Bible to life and dusts off ancient church doctrines-revealing the many ways our tradition can inspire the work of lay ministers today. Edward P. Hahnenberg is the Jack and Mary Jane Breen Chair in Catholic Systematic Theology at John Carroll University in Cleveland, Ohio. He is a past consultant to the US Bishops' Subcommittee on Lay Ministry, author of Awakening Vocation: A Theology of Christian Call, and a contributor to Give Us This Day published by Liturgical Press. This slim volume is a gem. Hahnenberg packs considerable material into this inspirational text. His concise overview of the development of ministry pays attention to its required theological foundations. This insightful introductory text is encouraging and prophetic. It will be valuable to those new to ministry, students of ministry, and experienced ministers alike. "Ed Hahnenberg writes: "I like to explain things-and I'm pretty good at it!" This is an understatement. He is really good at it! Theology for Ministry is the work of a master theologian and a master teacher, offering the best of today's theology to educate and inspire today's ministers in language that is completely accessible. What a gift for anyone who is preparing for or doing ministry!" Here Ed Hahnenberg offers a well-informed, most engaging, delightfully written, and inspiring theology for ministry, crafted precisely for lay ministers. Note the good pedagogy throughout (he could well be a religious educator) that begins with the reader's own experience and ends by inviting personal appropriation of the content to their journey in faith and ministry. I know of no better introduction to theology for lay ministers than this one. Thomas Groome, Professor of Theology and Religious Education, Boston College, Author of Will There Be Faith? 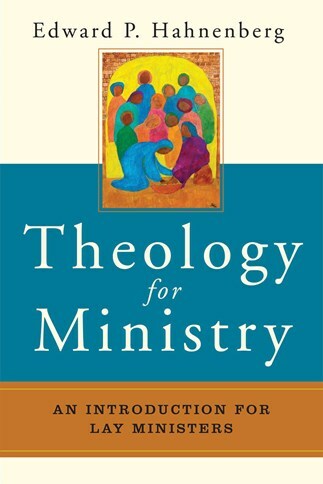 In Theology for Ministry Edward Hahnenberg brings the best insights from his recent works on ministry and vocation into a resource that is accessible and delightful to read. Dr. Hahnenberg shares about his joy for "explaining things," which he recognizes as a charism, a gift of the Spirit to help others. Theology for Ministry illustrates that gift at its best. Weaving personal stories, references to pop culture, classical questions, some history, and a good intro to Catholic theology, this work is an invitation to think about ministry in light of the core convictions of our faith. No better place to ground the discernment of the vocation to Christian service than in the contemplation of the mysteries of the Triune God, Jesus, the Spirit, and the Church! Theology for Ministry is an excellent guide for such discernment. In chapter 4, Hahnenberg says he has the gift of explaining things-to which I say "Amen!" This book simply explains why we do what we do. The chapter titles: Called .By God .Through Christ . In the Spirit . With Others . For Others provides a framework and a context in history, theology, and community for ministry. The reflection questions in each chapter anchor his themes in the reader's lived experiences, making this a valuable resource for formal and informal formation programs and for varied ministry settings. This volume is the fruit of a gifted theologian's deep reflection on the lived life of the Church, in particular, lay ministry, in light of our theological tradition. The preposition for in the title is central: this work is at the service of lay ministers, inviting deep reflection on "their own" experience, and the theology which grounds it more deeply. Many sources inform Hahnenberg's work, including varied ecclesial documents, spiritual writers, theologians old and new, contemporary artists, but most especially stories of lay ministers (and his own stories) of the wellsprings of their faith and commitment to service. This is a rich resource for spiritual growth, and for a deepening of identity as lay ministers.